Psyche, physic and reasoning. Towards optimal health. Hi, My Name Is Paula Heinonen! Expert in Functional Medicine and Mother of Three Sons. I graduated from the Helsinki University of Technology (today called Aalto University) as a Master of Science in applied microbiology, applied biochemistry and industrial management in 1986. I continued my studies to become Licentiate of Technology with applied microbiology, biotechnology and food technology as my major and industrial property rights as my professional minor. By my professional education, I am a European Patent Attorney. After graduation as a Master of Science, I worked as a Research Scientist for five years with an international biotechnology and food industry company. The following eight years I worked with industrial property rights and was in charge of protecting the research in the field of nutrition, gene technology, enzymology and functional food for the same company. 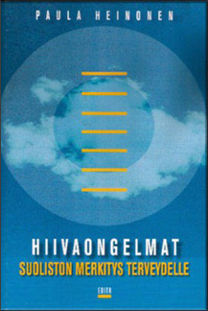 In 1997, I founded an education and consulting company called Pro Health Oy. 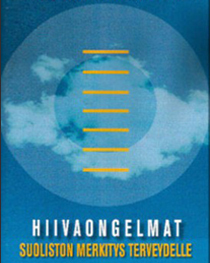 Since then, I have educated and lectured to tens of thousands of people around Finland on wellbeing at work, nutrition and various health problems in both companies and public events. Well over ten years of work as a research scientist and industrial property rights manager gave me an excellent basis to understand the relationships between nutrition, gut health and biochemical processes. Functional medicine offered a natural continuation based on comprehensive reasoning. My burning interest in functional medicine caught fire in the early 2000’s when I fell ill with work-related asthma which destroyed my health nearly completely. Furthermore, since childhood, I had suffered from recurrent episodes of migraine, allergy and atopy as well as from recurrent sinusitis and bronchitis. I managed to recover and got rid of the chronic health issues mentioned above. Since then, I have acquainted myself with functional medicine in, e.g., the United States, Canada and Europe. FM fascinates because it is logic and holistic. According to functional medicine, all bodily organs are interdependent which is self-evident to me. I educate nutrition professionals (FM Nutrition Coach™) and teach functional medicine to health care professionals. Since the beginning of 2009, I have had a radio program called Keys of Health (former Pillars of Health). It is run now on the Finnish radio channel Iskelmä (read more). It deals with many different themes related to health, wellbeing and diseases. The program wants to improve wellbeing, health and knowledge by giving the listeners concrete instructions and tools for their daily challenges and health problems. The interviewer is Mikko Siltala. The books are meant for both health care professionals and ordinary consumers. • Why is my stomach swollen after every meal? • Why am I suffering from constipation although I take outdoor exercises and drink a lot of water? • Would I avoid continuous colds and otitis by a gut repair? • Can joint pains originate from the gut? • How to get rid of heartburn? For many people, gut disorders are everyday problems. The gut is a sensitive organ that needs care and healthy food in order to stay in good condition. Various factors can throw the gut off the rail, and disorders of gut origin may arise as different problems all around the body: as allergies, rashes, recurrent inflammations or even as neurological disorders. The book helps you to understand and treat the gut, and the self-treatment instructions may help you to get rid of the health problems that have bothered you. A healthy gut is an incredible motor of health! New Strength to Carry on! Wonder Power to Your Life offers plenty of practical information on strengthening the immune system, treating the gut, carbohydrate hysteria, continuous craving for sweet food, and on disordered eating as well as on premenstrual syndrome (PMS). 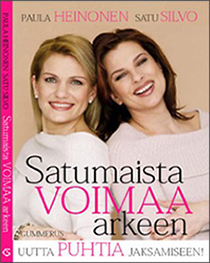 In this book, Satu poses the questions and Paula gives the answers and advice. The book gives you e.g. easy recipes for healthy shakes enhancing wellbeing and acquaints you with energizing orange and deep green juices that act like medicine. You will also learn to make delicious spreads and raw porridge. However, this is not a recipe book but a book that gives practical advice to you who want to make a change but don’t know how and where to start. This book deals with gut health and disorders, factors that affect them, and the study and treatment of so-called yeast symptoms in an expert and understandable way typical of Paula’s lectures. At the same time, the book is an information package of gut function and digestion. The impact of the gut on our health is greater than often thought. It has a vital role, e.g., in the resistance to diseases. Modern man’s restless way of life and changes in our living environment cause stress to the organs which could be survived by thinking of some ways of life, such as diet, from a new viewpoint.